Have fun with your photos! So far 0 things have been created this month. Make your own inspirational or satirical motivational poster. Show your friends how famous you really are on your own magazine cover! Be a star! Customize a movie poster for a friend or loved one. Become a pop icon! Create a cool pop art poster in a lo-fi, multi-panel style. Create customized jigsaw puzzles from your photographs. Create vintage photo booth strips. Four poses! Say cheese! Make a mosaic from a photoset, favorites, tags, or individual digital photographs or images. Create a unique photo collage in the style of the artist David Hockney. Transform your photos with fun special effects and filters. Make a map of where you've been or where you're going. Add a museum-style mat to your digital images. Create and print a pocket-sized photo album. Make your own ID card, press pass, name tag, or any other kind of identification. Create monthly calendars from your photographs. Three different printable styles. Ever wanted to honor and immortalize someone you love? Turn them into a trading card! Choose from tons of unique frames to spice up your photos. Remember, if you frame it, it's art. Turn any photo into cool desktop or cell phone wallpaper with a monthly calendar. 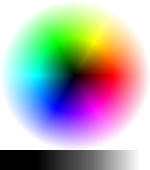 Automagically generate a harmonious color palette based on the colors in a photo. Use your digital photographs to make a unique art object! Simple printing and folding instructions. Turn your photo into super-cool bead art. Make a personalized CD or DVD cover. Simple printing and folding instructions. Add a funny caption to any photo but especially for LOLCats posters. If you've got something important to say, say it BIG. Find your photos in Flickr's Explore pages. Make a unique poster to show the world your achievement. A high-level overview of any Flickr member's public profile and recent and most interesting photos. Add a button to your blog or website. View your Flickr images on a gorgeous all-black background. Accessorize your profile pages. Create a cool widget to show off your photos. Get sunset and sunrise times and the phase of the moon for any location on Earth. A ranked listing of the top 100 digital camera makes and models, updated weekly. Browse random photos that have been favorited by others. A pithy fortune and related photographs. Browse favorite photos on Flickr. The internet typewriter. A no-frills, distraction-free, online writing environment.